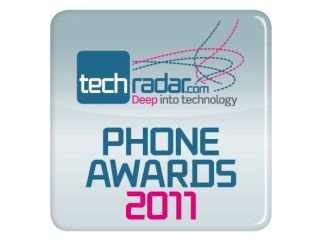 The TechRadar Awards 2011 has launched and is set to be the biggest celebration of all things mobile phone related. No party is complete without guests, so TechRadar has enlisted some of the best tech experts in the business to help us choose the winners for: Phone of the Year, Best Phone for Business, Best Consumer Phone, Best Phone Innovation, Best Phone Accessory and Best Phone OS. Of course, TechRadar is also letting you, the reader, have your say so if you want to vote in the TechRadar Phone Awards 2011, get yourself over to the site now. Marc Chacksfield has been part of TechRadar for over three years now, starting as a News Writer and rising through the ranks to become a Deputy Editor on the site. Marc's main focus is on gathering exclusive content for TechRadar and reporting on breaking technology news as and when it happens. You can follow Marc on Twitter: @mchax. Martin is a prime-time anchorman at Sky News, broadcasting each weekday evening from 8 to 10pm. Martin joined Sky News in 1990 at the height of the Gulf War, and presented Sky News' flagship Sky News at Ten and the Nine O'clock News before moving to Sky News Today and Skynews.com. Martin's tech-related news show, skynews.com, won the "innovation of the year" category at the prestigious Royal Television Society Journalism awards in 2008. Verity Burns is the co-editor of MSN Tech & Gadgets, producing features and blogs for the site, as well as editing and maintaining the site on a day-to-day basis. You'll also catch her presenting the channel's video reviews and hear her spouting off on the channel's monthly podcast with Iain Lee. Kieran has over 10 years' experience in building websites and writing for online. He now edits consumer technology and lifestyle website T3.com which is partner to T3 magazine, part of the same publishing company as TechRadar. Before joining T3.com, Kieran headed up the digital team for men's magazine Zoo, and prior to that he spent six years at AOL UK. Matt Warman has written for the Daily Telegraph since 1999, and now focuses exclusively on technology and its impact on consumers. He focuses on both major policy announcements, such as on broadband and Tech City, as well as on products, in particular tablets and mobile phones. Gareth Beavis is Mobile Phones Editor for TechRadar, overseeing hugely in-depth reviews of every mobile phone on a daily basis based on an embarrassing passion for the shiny, pocket-friendly devices. Gareth also recently finished second in a 24-hour dance marathon and held the world record for Backwards 10-pin Bowling - but still rates mobiles as his favourite thing. Kat Hannaford is the UK Contributing Editor of Gizmodo.com, which gets 160 million page views each month on average. Prior to Gizmodo, she was News Editor at T3.com, and Editor of Tech Digest. She is often quoted by newspapers including The Telegraph, The Guardian, The Independent, and the Evening Standard, and appears regularly on Sky News, BBC News and various radio stations as a technology expert. Natasha has been with silicon.comfor more than five years, joining the team as a sub editor before jumping into the trenches to become a full-time reporter, and now senior reporter. She writes features, comment and news, and also pens a quasi-regular column called Digital Dilemmas. In keeping with the fast-paced world of tech, her beat is ever-expanding but currently covers all things mobile, wireless & networking, plus IT skills issues. Ernest Doku, technology expert at uSwitch.com, has an unabashed love for gadgets, as well as saving consumers money on their broadband and phones. He joined the team having worked in the games industry with Eidos Interactive before moving into writing about tech on mobile phone comparison site Omio, also owned by the Forward Group.